King of swing: Jon Rahm. Picture: Getty Images. There is not much of a secret in Jon Rahm’s remarkable success story – the Spaniard is willing to go to ridiculous lengths in an effort to become better. Take the example of how he learned to speak English so well. In his first few days at Arizona State University (ASU), Rahm could hardly converse with fellow students in his broken English. So, he came up with a novel method to become fluent – he would meticulously listen to and sing rap songs of Eminem and Kendrick Lamar. Rahm thought it was a fun way of trying to speak quickly and express himself better. Or, how he practiced – some might say showed off – hitting flop shots with a 6-iron (you read that right) before the Dubai Duty Free Irish Open, just because he felt links golf was going to demand creativity with his short game. Or, despite being a Spaniard, how he decided to cut olive oil completely from his diet when it was found that it was detrimental to his body chemistry. No wonder he has had a meteoric rise – up to world No8 within a year of turning professional. In 53 weeks he has been in the paid ranks, Rahm has won on both sides of the Atlantic – at Torrey Pines in January and last week’s Irish Open. He also had three close misses this year – at the WGC Match Play and WGC Mexico and Dean & Deluca Invitational. However, it is not just the past one year that Rahm’s game has taken rapid strides. He reached the No1 ranking in amateur golf before that. Prior to that, he was the only player to have ever received two back-to-back Ben Hogan Awards – given to the top American college golfer. In the 2015/16 NCAA season, he finished inside the top-10 in each and every one of 13 events he played. And his 11 college wins is second best in ASU history – behind the 16 racked up by five-time major champion Phil Mickelson. 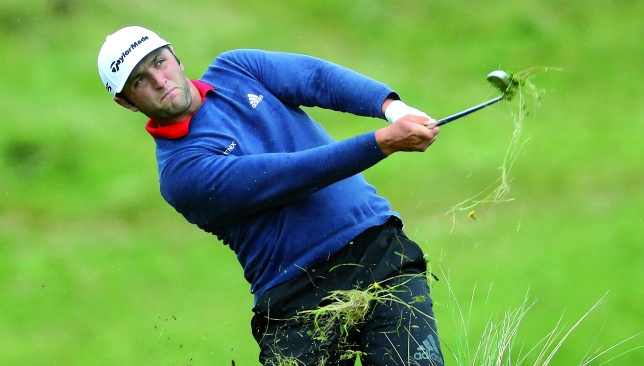 Jon Rahm wins the Dubai Duty Free Irish Open, setting tournament records in total strokes (264) and lowest score to par (-24). Rahm was so good, some people say ASU lost their star coach, Tim Mickelson, brother of Phil, because of him. Last year, the man who was instrumental in getting the Spaniard to the US, quit. Later, as rumour mills had then suggested, he became the manager of Rahm when he turned professional. It was almost as if history was repeating itself. In early 1990s, Steve Loy, the then ASU coach, resigned and joined his star student, Phil, as his manager. Rahm shot a 62 that day. So, how good is Rahm? Well, good enough to send shivers down Mickelson’s spine if they ever face each other in a Ryder Cup match, and good enough to win multiple majors if his game, and his self-belief, is any indicator. Despite a relatively shortened back-swing, Rahm packs a punch. At an average of 305.1 yards, he hits it farther than most players on the PGA Tour. He is second behind world No1 Dustin Johnson in shots gained – tee to green, and fourth in shots gained – approach the green. This is literally a ball-striking machine we are talking about. Obviously, he is no slouch with his short game either. Much like his mentor Phil, Rahm has a go-for-broke philosophy on the golf course. In fact, it came as a surprise to many that he decided to use irons off the tee on several holes at Portstewart last week, but that could also be an indication of his growing maturity and an eagerness to adapt to situations. The one negative in Rahm is how quickly he tends to become angry on the golf course. That was very evident during the US Open at Erin Hills last month where he missed the cut and was seen throwing and kicking his clubs. However, he has promised to work hard on maintaining an even keel and be a good role model for those watching. His biggest strength might just be the immense belief he has in his own abilities. It came out after his Irish Open win again. “I’ve always said I want to be the best player I can be. That’s my goal in golf. Try to be the best Jon, the best golfer I can become, without knowing what the limit is,” he said after lifting the trophy in Ireland. Royal Birkdale, in a week’s time for The Open, should provide further proof of just how good Rahm is. Phil Mickelson (l) and Jim Mackay (r) have been together as a team since 1992. Despite Jordan Spieth’s playoff heroics and a new No1 in ladies golf in Ryu So-Yeon, the last seven days in golf has been dominated by the unexpected break-up between Phil Mickelson and Jim ‘Bones’ Mackay. The duo had been one of the most endearing player-caddie relationship stories in the history of the game – almost as respected for their chemistry as Tom Watson and Bruce Edwards, or Jack Nicklaus and Angelo Argea, or Jim Furyk and Fluff Cowan (still going strong since 2000), or Rory McIlroy and JP Fitzgerald. 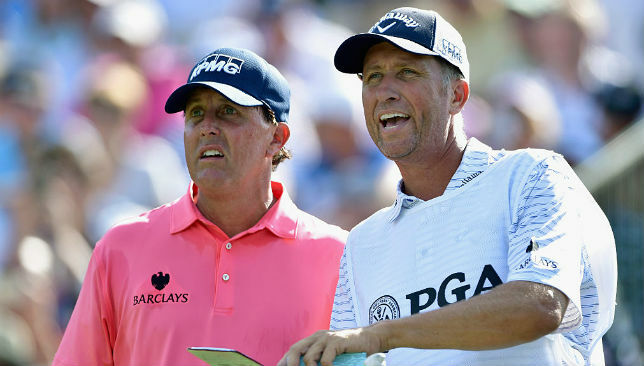 Having started working together in 1992, Mickelson and Bones were together for 25 years, and just about every player and caddie on the Tour shook his head in disbelief when the news came out. There has been a lot of speculation regarding the split, but both Mickelson and Bones maintain that it was a mutual decision and “right time for a change”. The pair reportedly had a couple of heated discussions during the round in the previous weeks, but Mickelson said that was routine. He revealed they were planning to end their partnership after the US Open, which did not happen because the American could not take part at Erin Hills. It’s difficult to pinpoint reasons when such a break-up happens, but I came across an excellent research into the players-caddie dynamics when Open Championship sponsors HSBC published a report, ‘Understanding the Quality and Functions of the Golfer-Caddie Relationship’, on the subject a couple of years ago. In that report, which was based on a research by Loughborough University, it was pointed out that the higher the level (of golf ), the stronger the relationship, and that winning strengthens the bond between player and caddie. The absence of those two factors have clearly dictated how relationships have progressed over the years. Obviously, there are other factors that come into play. Vijay Singh and Paul Tesori parted ways in 2004 despite being very successful on the course because the golfer expected his caddie to work with him almost 365 days a year. Sometimes there are family compulsions, like when Bernhard Langer ended a 22-year-old partnership with Pete Coleman in 2003. Langer had decided to base himself in the US, while Coleman wanted to stay in UK. In the case of Mickelson and Mackay, they haven’t won a tournament since that stunning Sunday evening at Muirfield when he captured his maiden Open Championship in 2013. 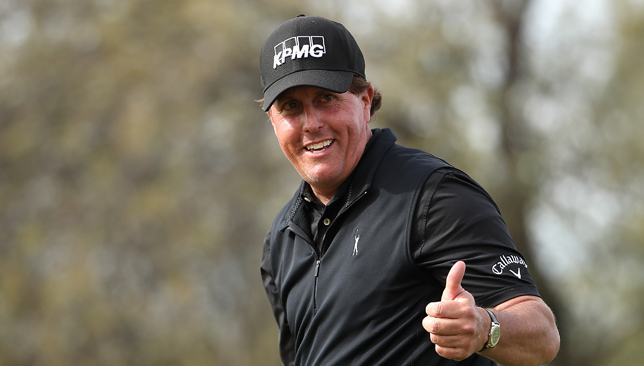 ‘Lefty’ has had six runners-up finishes and eight top-threes after that, but that is not his definition of success. The same happened with Jason Hamilton and Lydia Ko, although she has a history of changing caddies. Hamilton was on her bag for almost 18 months, before becoming one of the nine bagmen to be fired after the then world No1 failed to win since July 2016 last year. 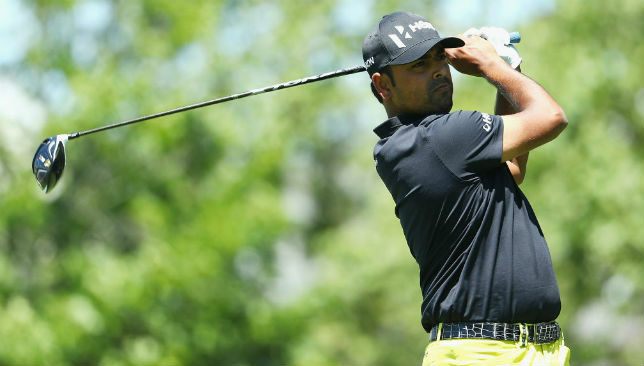 Mind, body and soul: Anirban Lahiri. Almost as painful as it was for Mickelson fans to hear that he was skipping the US Open, fans of Anirban Lahiri were going through the same emotions as he decided not to pursue a spot at Erin Hills. After finishing a magnificent second at The Memorial, the Indian ace decided to skip the Qualifier, as well as the FedEx St Jude Classic the week after. And he is doing the same before The Open, having entered just the Scottish Open despite another good top-20 outing at the Travelers Championship last week. Lahiri, a big believer in Vipassana meditation, has made it a point this year not to, “pursue and chase tournaments”. His thinking is simple – there is always a tournament that you want to play, but if you are not inside the top-50 of the world ranking, you can run yourself to the ground trying to play all of them. So, what did Lahiri do during the US Open week? He flew out to a Vipassana Meditation Center in Massachusetts and spent 10 days meditating, without talking to anyone and without any mobile phone, TV or newspaper. He did not even know the US Open scores. Lahiri believes meditation helps him become a better person, and also helps him on the golf course. It certainly gives him the conviction and patience to make decisions like not ‘chasing tournaments’. 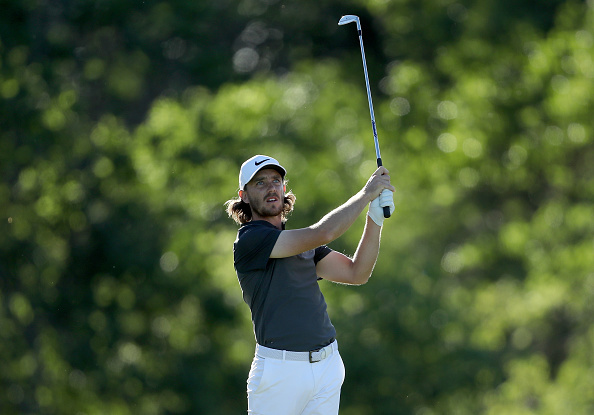 American Brooks Koepka powered his way to a first major title in record-equalling fashion as Tommy Fleetwood’s brave US Open bid ended in disappointment. 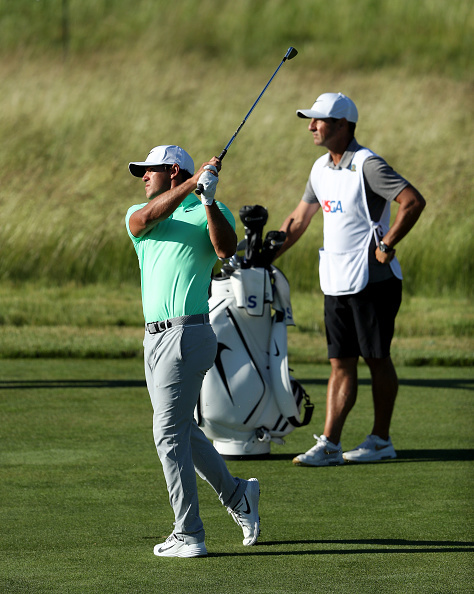 Koepka carded a closing 67 at a windswept Erin Hills to finish 16 under par, matching the tournament scoring record set by Rory McIlroy at Congressional in 2011. The big-hitting 27-year-old fired six birdies and a solitary bogey to finish four shots ahead of overnight leader Brian Harman and Japan’s Hideki Matsuyama, with Fleetwood a shot further back following a final round of 72. Koepka’s big hitting gets plenty of attention, but playing partner Fleetwood nominated his approach to the 15th – which played as the hardest hole – as his best shot of the final round. From 150 yards, Koepka judged his approach perfectly to a pin cut just four yards from the back right edge of the green and rolled in the birdie putt. Matsuyama’s 66 was the lowest score, but Koepka’s 67 was even more impressive as he compiled it under the pressure of leading or sharing the lead since he birdied the second. After a brief stumble on the 10th, a hat-trick of birdies from the 14th sealed the win in style in testing conditions. “This will make up for the card I didn’t get him.” Koepka takes the cheap way out on Father’s Day. No runner-up had finished double digits under par in the US Open, but as well as Matsuyama and Harman sharing second place on 12 under, Fleetwood finished 11 under and Rickie Fowler, Xander Schauffele and Bill Haas were 10 under. The 15th had played as the easiest hole in round three after the tee was brought forward to make it reachable, but at 356 yards and back into the wind on Sunday there were just six birdies, 18 bogeys, five doubles and four triples. That resulted in a scoring average of 4.515. Proving yet again that distance is no defence against the best players in the world and modern equipment, the 681-yard 18th was the easiest hole in the final round, with two eagles, 19 birdies and just 10 bogeys for a scoring average of 4.809. Brooks Koepka only hit 3-wood 379 yards on 18. Must've left the headcover on. Brooks Koepka’s bank balance as he claimed a record first prize of £1.66million. Not bad for a man who once won £30,000 in the Scottish Hydro Challenge at Aviemore. 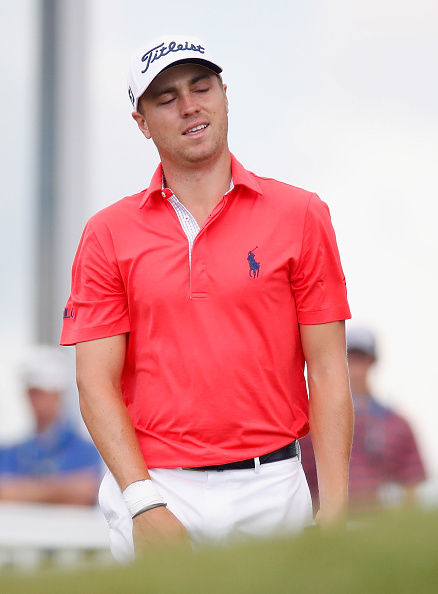 Justin Thomas came into the final round on the back of his record 63 on Saturday, but was never in contention after bogeys at three of the first five holes on his way to a disappointing 75.